Twitter’s famous follow Friday (#FF) tradition inspired our very own Social Cookie Follow Friday in the bakery. Every Friday on Twitter, users regularly follow their favorite tweeters. 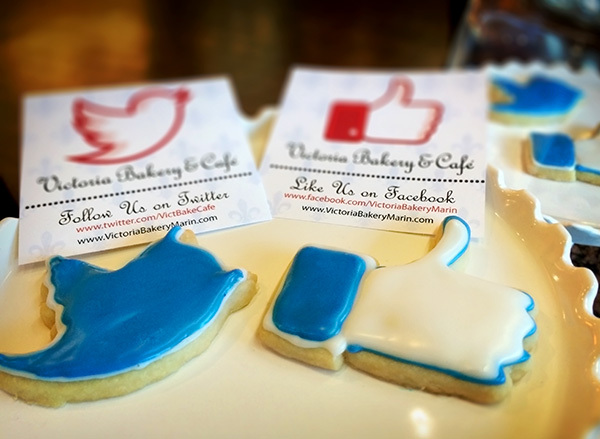 Now at Victoria Bakery & Café if you stop in and follow us on Twitter or like us on Facebook you get a FREE social cookie.